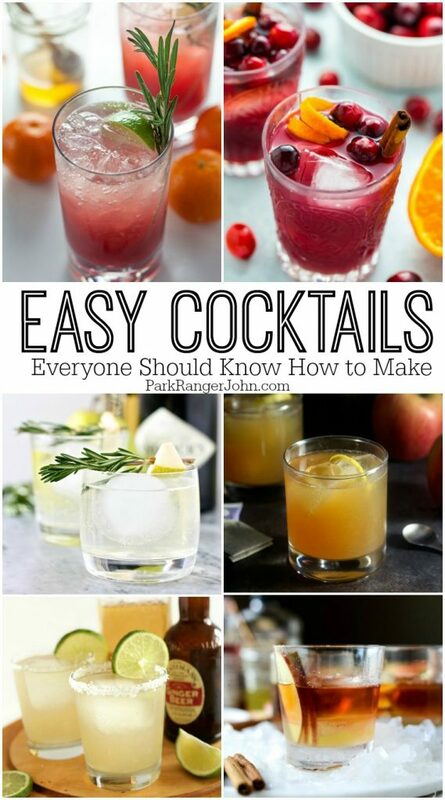 There are so many amazing cocktail recipes floating around the internet but I wanted to share with you these Easy Cocktail recipes we should all know how to make. These are the classic recipes that will get you through any dinner party, bachelor or bachelorette party, birthday party or occasion. Plus a few fun ones are thrown in to make life a bit of a surprise. These easy drinks to make are always popular and you don’t have to stress about making them. You can surprise your friends with your masterful bartending when you pull out one of these recipes. I love that they are so easy to make and you do not have to buy a ton of crazy ingredients to make them. Most of these cocktail recipes are made with basic ingredients you can easily add to your bar cart! These cocktails sound amazing. Definitely going to try some of these. What a great post. Sometimes I’m in the mood for something new and a lot of drinks I look up are complicated. Nice to have simple ones so I can make quick and enjoy.